There are a number of items in which we are always in need. 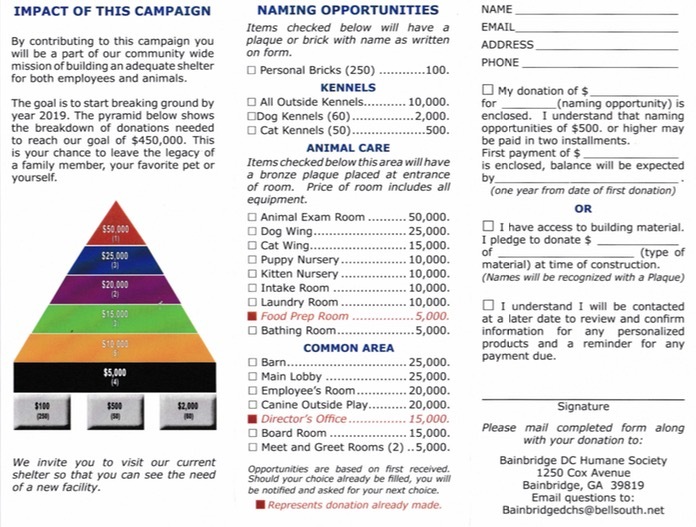 Your assistance with a monetary or item donation is always greatly appreciated. Canned dog and cat food, Goats’ milk, Old towels, blankets, sheets, quilts, socks, Pet toys and treats, Bleach, disinfectant, laundry soap, Paper towels, Office products, Cotton balls and swabs, Cardboard flats, Hand sanitizer and Latex gloves. 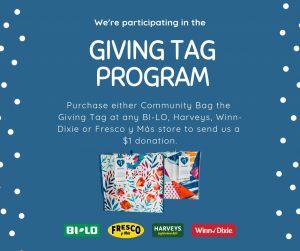 We’re excited to share that BI-LO, Harveys, Winn-Dixie, and Fresco y Más stores are now offering the Community Bag and Giving Tag Program! 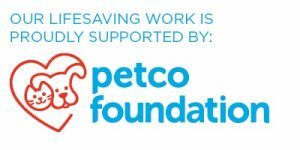 Every time a shopper buys a reusable Community Bag at any BI-LO, Harveys, Winn-Dixie, and Fresco y Másstore, they can direct a $1 donation to us by using the attached Giving Tag. You can find the two colorful reusable Community Bags with the Giving Tag on the reusable bag rack at the store. The key is to look for the bags with a tag that features a blue heart with $1 in it. Visit your local store and pick one up today!